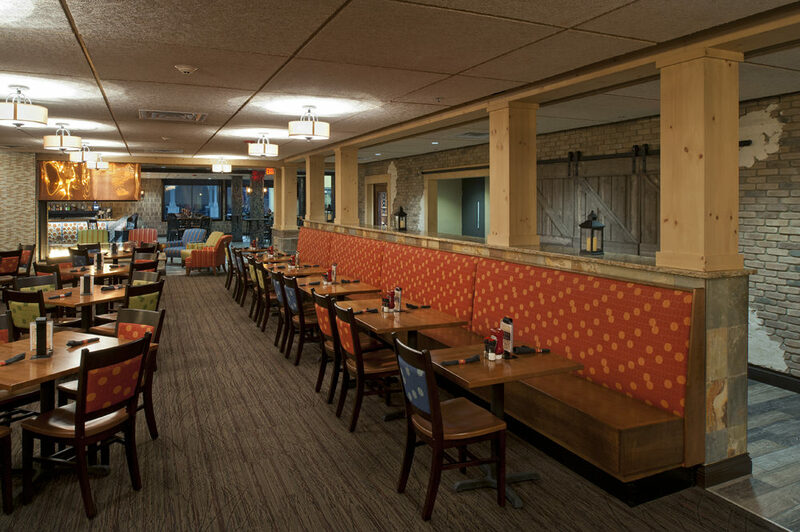 Size Restaurant: 4,603 sq.ft. 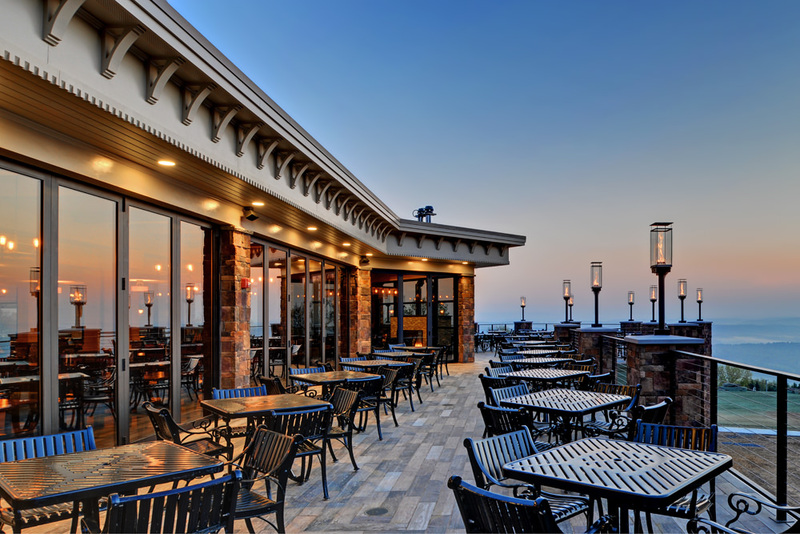 Deck: 3,322 sq.ft. 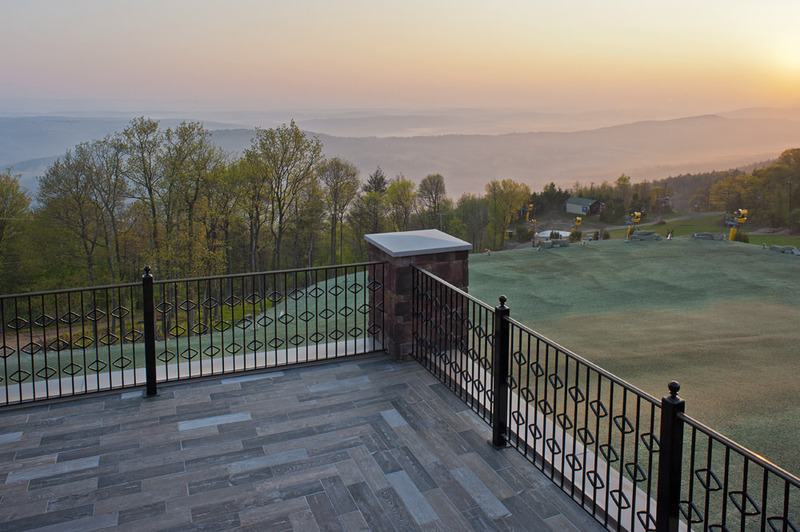 Overlook: 636 sq.ft. 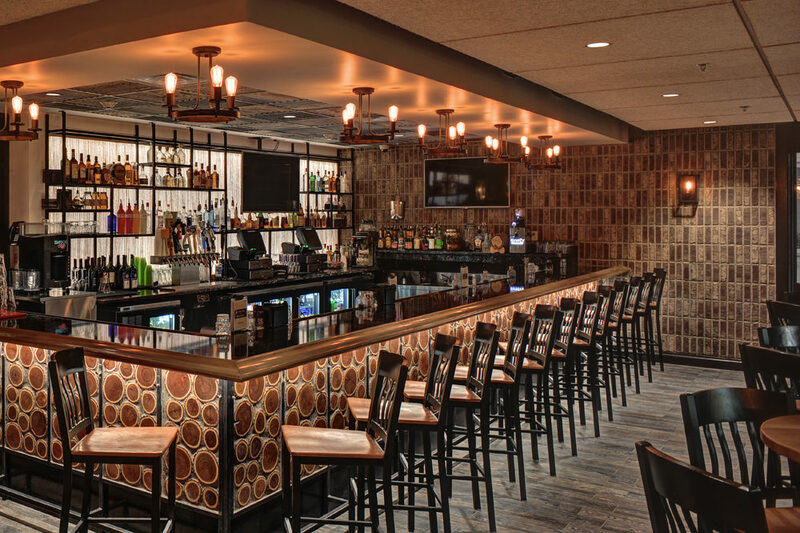 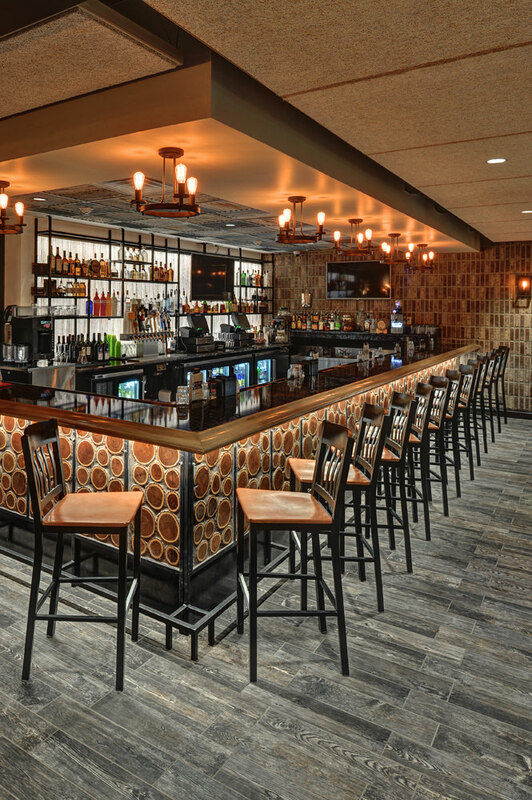 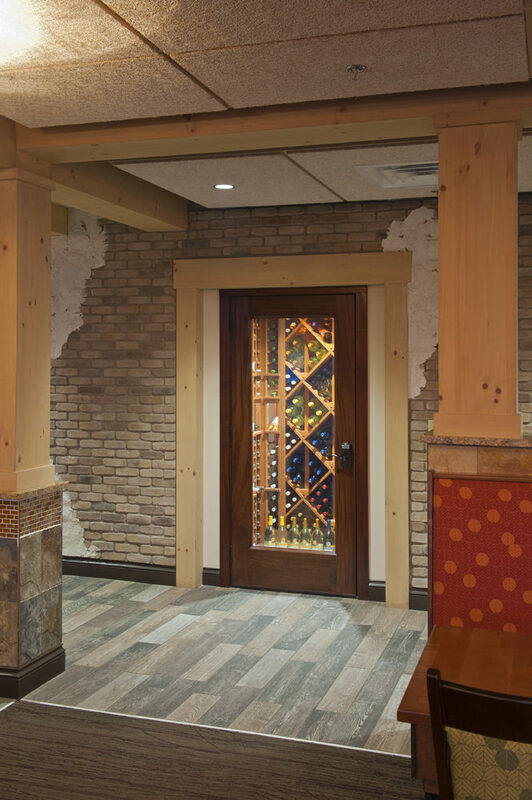 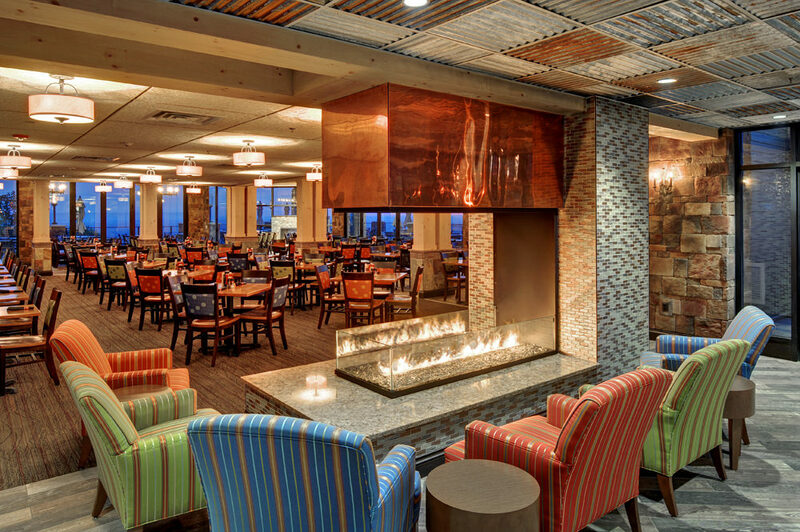 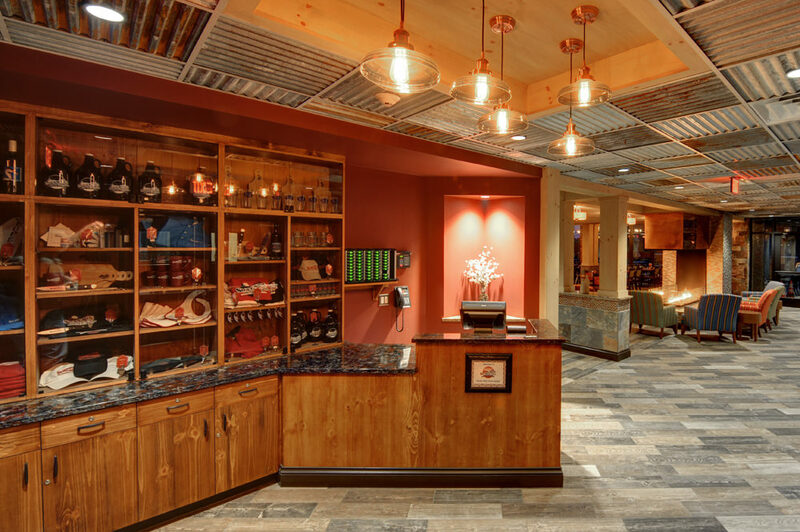 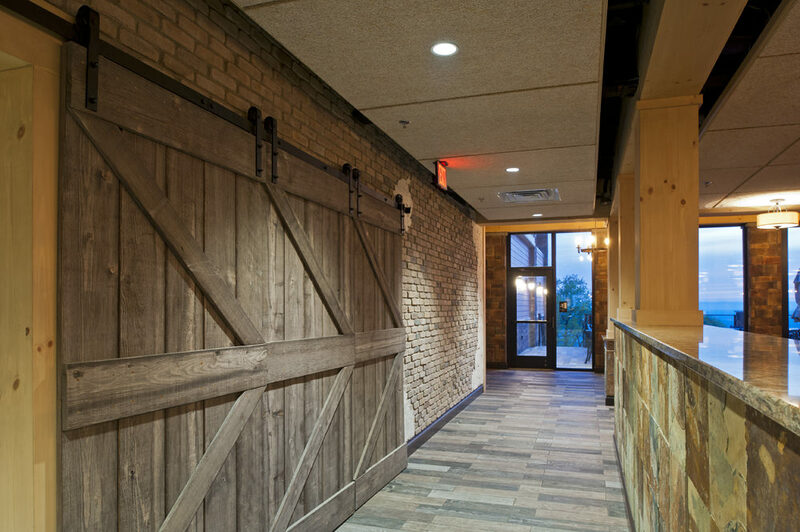 The addition and renovations to the existing Summit Lodge at Blue Mountain Ski Resort create the mountain’s first full-service, year-round, sit down restaurant. 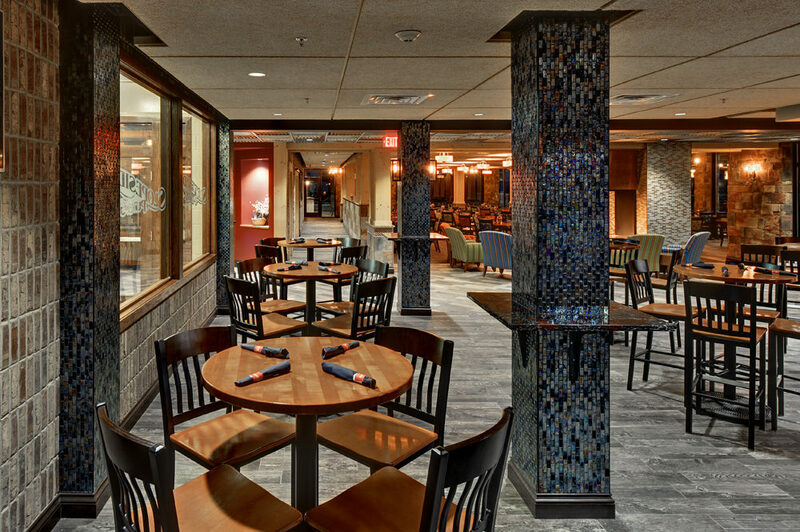 The project includes a full commercial kitchen to service the restaurant, as well as an additional commercial prep kitchen to supplement the resort’s banquet and catering facilities. 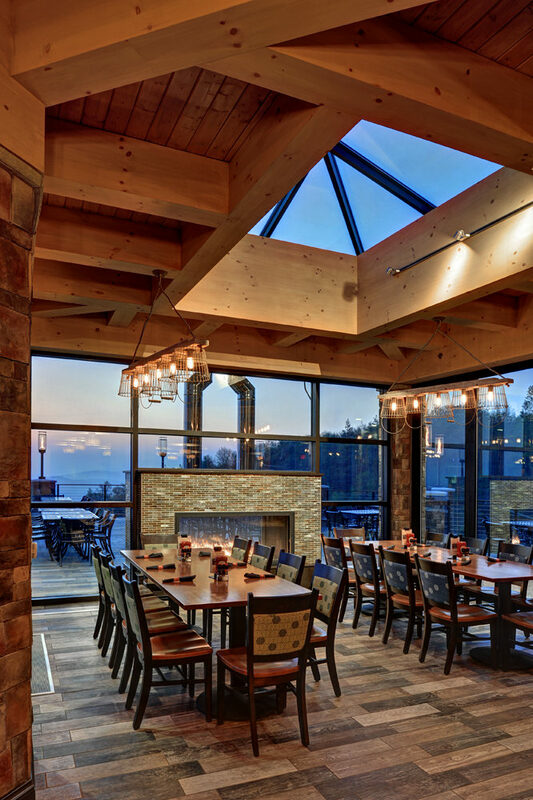 The 156 seat restaurant features a see-though fireplace and two walls of folding glass doors which allow the dining room to be fully opened to the 172 seat outdoor deck. 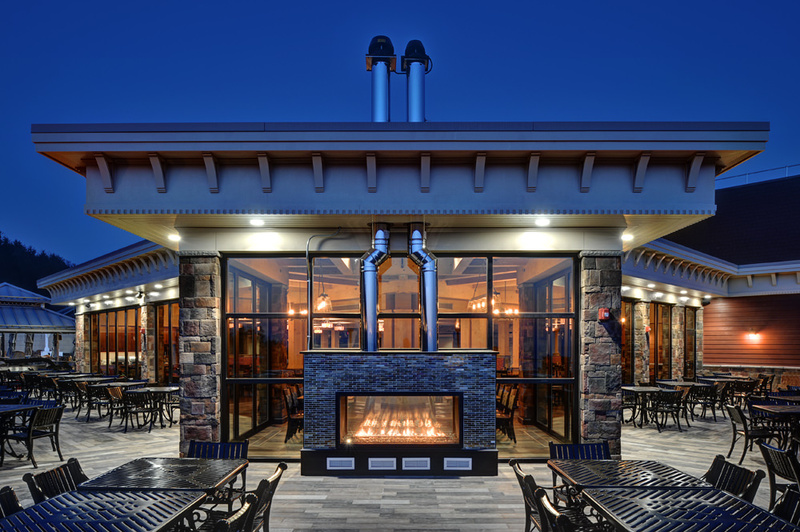 An additional 93 seats are located in the bar which is separated from the restaurant by a three-sided, open-air fire place. 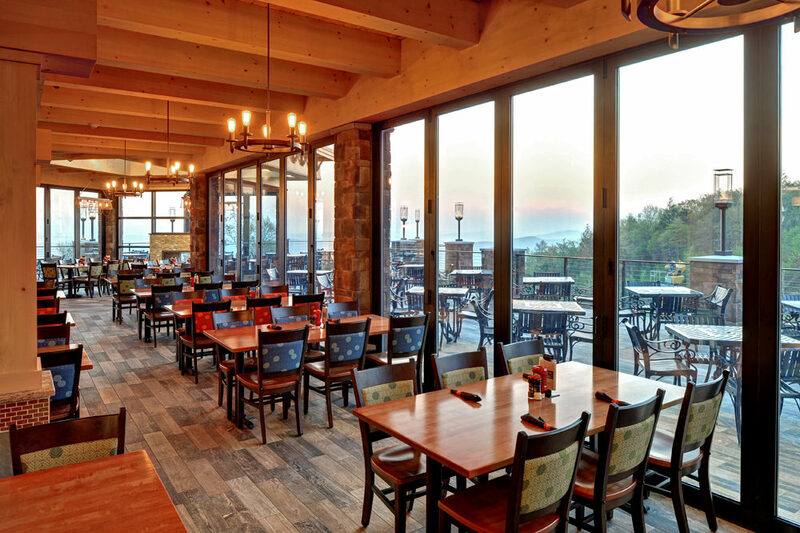 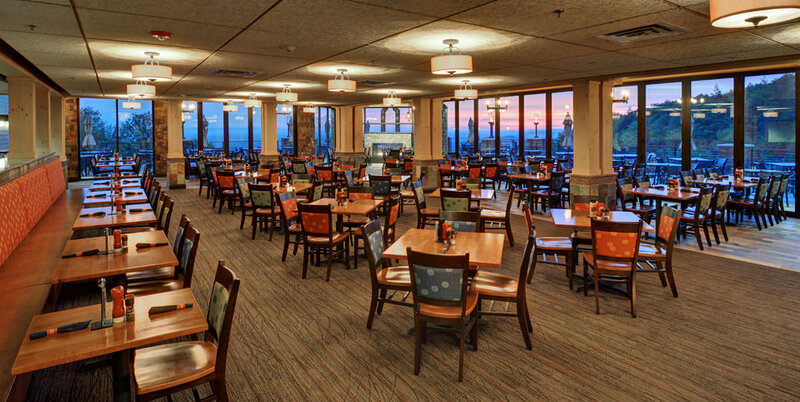 The Similar to the Vista Ballroom above, the restaurant and outdoor dining deck have been situated to take advantage of the near panoramic view of the ski slopes and valley below. 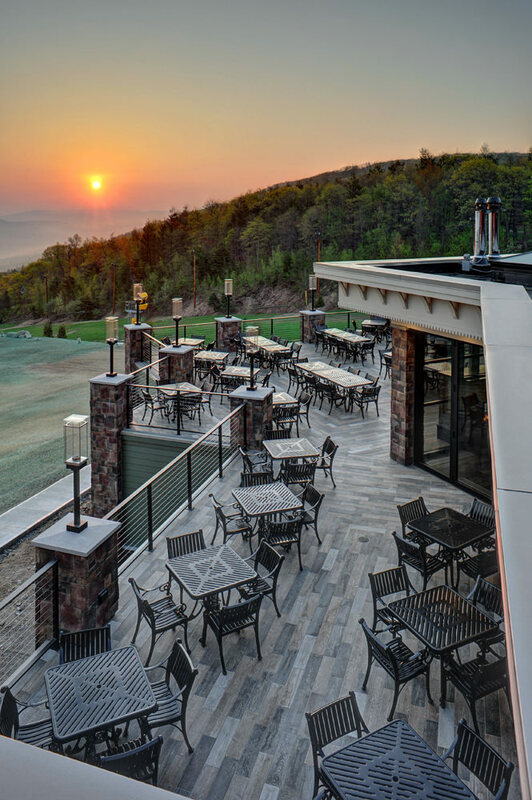 In order to take further advantage of the resort’s scenic vistas, an overlook was created on the restaurant roof which offers spectacular views of the deck and mountain beyond.